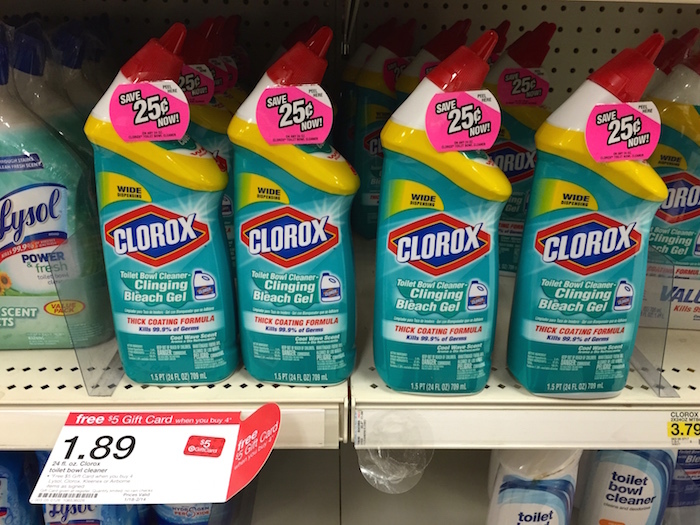 Target: Clorox Toilet Bowl Cleaner Only $0.39 Each! Here’s another great deal you can grab at Target! Through 2/14, buy 4 select Lysol, Clorox, Kleenex, or Airborne products, and you’ll receive a $5 Target gift card. These 24 oz Clorox Toilet Bowl Cleaners are included in the gift card deal, and they’re priced at just $1.89. I also found $0.25/1 Clorox Toilet Bowl Cleaner peelie coupons attached to the bottles at my store. After the peelie coupons and gift card offer, you’ll pay just $0.39 per bottle! 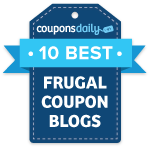 Even if you don’t find the peelie coupons, it’s still a great deal at $0.64 each. Final cost: $1.56 for all 4, or $0.39 each! This deal is valid for almost an entire month, so if you don’t find any at your store, you have time to wait and see if they re-stock. To see if your local Target has these in stock, just click here, click on the “Find in a Store” button, and enter your zip code.